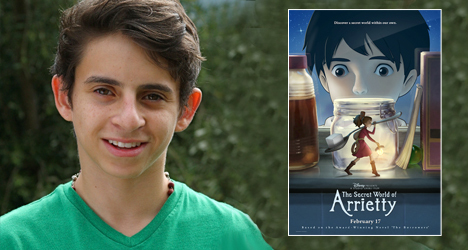 Shawn (David Henrie) meets Arrietty (Bridgit Mendler) in "The Secret World of Arrietty." As impressive as computer-generated 3D animation has become in recent years, there is something still incredibly charming about hand-drawn animation. There are flaws, odd movements and static elements that all add to the experience and even inform the personality of the film. Perhaps nobody believes in hand-drawn animation more than Hayao Miyazaki (“My Neighbor Totoro,” “Spirited Away”), the man behind the beloved Studio Ghibli from Japan. After flirting with the help of computers for a short span, Miyazaki has gone back to his roots. With a screenplay penned by Miyazaki himself, Studio Ghibli continues its American partnership with Disney with “The Secret World of Arrietty,” a beautifully understated animation centered on a forbidden friendship. Adapted from the 1952 classic novel “The Borrowers” by Mary Norton and dubbed from the original Japanese animation, “The Secret World of Arrietty” centers around the Clocks, a family of tiny people who live in the floorboards of a house and “borrow” supplies they need from humans. When 14-year-old Arrietty (Bridgit Mendler) goes on her first “borrowing” with her father Pod (Will Arnett), she gets noticed by Shawn (David Henrie), a young boy who has just moved into the house. Though it is discouraged by her father and mother (Amy Poehler), Arrietty slowly develops a friendship with Shawn, while still attempting to remain incognito to protect her family. There is an underlying sense of tranquility that weaves its way throughout “Arrietty,” a tone that is established early and reinforced especially through the stoic Pod character and the leisurely pace of the film. The scenes where we see Arrietty and her father journey through the nooks and crannies of the house are filled with mesmerizing long takes that display an environment in which the smallest items like nails or sugar cubes serve as foils in their adventures. 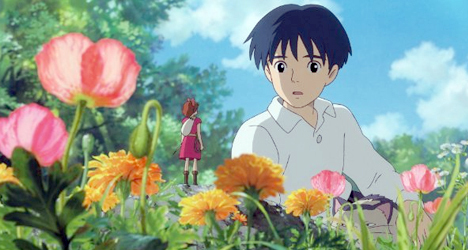 Although there is one monologue in the film that might be a little intense for younger kids, “The Secret World of Arrietty” is a film that is enjoyable for audiences of all ages. 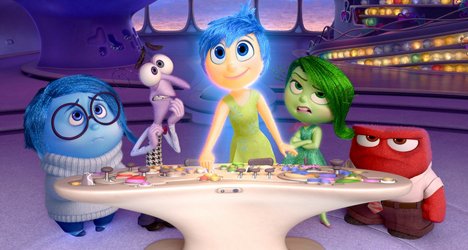 There are plenty of visuals and adventurous scenes to keep children invested. The film works largely in part to Miyazaki’s fantastic script filled with empathy and sentimentality, mostly for the Borrowers themselves and Shawn’s earnest desire to make friends. If nothing else, “The Secret World of Arrietty” proves you don’t need high-tech animation to create a captivating world with its own intricacies. I want to see more Studio Ghibli films. Only seen this one and Ponyo. Which I also enjoyed.